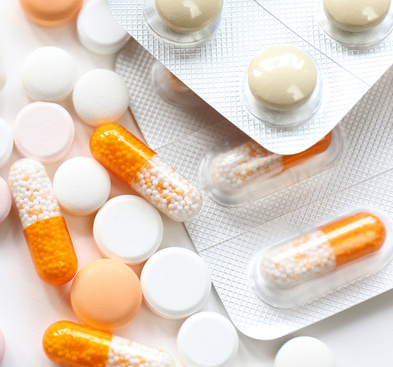 Artificial intelligence is combined with your pill box to ensure your treatment is at the right dosage.Adrien Coulet, lecturer at the Université de Lorraine and researcher in a joint team at Inria and Loria working in collaboration with researchers from Stanford University, has created an algorithm based on medical data to predict the need to prescribe a reduced dose of medication for a patient rather than a standard dose. An article about their research has been published in “Nature – Scientific Reports”. Historically, pharmaceutical companies have been interested in broad-spectrum drugs to treat the general population and hardly focus on subgroups of patients who might react differently to certain drugs and require a more specific dosage. Doctors know that the genetic characteristics of patients influence the effect that certain drugs may have and that some cases require accurate dosing so that the benefit / toxicity ratio is more appropriate. In this context, we are talking about precision medicine. Adrien Coulet and his collaborators particularly concentrated on drugs that interact with the family of P450 enzymes. These enzymes play an important role in the elimination of drugs and, as their activities vary greatly depending on the genetics of patients, they can cause very variable responses from one patient to another. In addition to genetics, responses to these drugs is also subject to factors such as the environment, diet, or taking other medication. Traditionally, doctors prescribe the correct doses of these drugs by following clinical protocols. They begin treatments with a starting dose as specified by the protocol, then evaluate the effect of the drug in the patient on a daily basis to adjust the dose according to any possible adverse effects. The new algorithm the team has developed could help predict and prevent side effects by reducing the time needed to define the optimal dose. This is all the more interesting as adverse effects are thought to be responsible for about 280,000 hospitalizations each year in the United States. The algorithm of our researchers works particularly well with drugs used in oncology, with immunosuppressants used after a transplant for example, or with anticoagulants for which it can take a long time to reach the optimal dose as there is a high level of variability in patients’ reactions. The team of researchers studied digital patient data from Stanford University Hospital and was able to predict that some patients required a lower dose than the standard dose of medication even before it was prescribed. To analyze the data in a patient’s history, the scientific approach used is a well-known and widely used method in artificial intelligence: the Random Forest method. This algorithm combines the concepts of random subspaces. The decision forest algorithm learns about a subject by constructing multiple decision trees tested on slightly different subsets of data. The most specific feature of the researchers’ approach is the preparation and selection of data used to aliment the AI model. The result proves that it is possible to suggest a lower dose even before the drug is prescribed, thus offering doctors precious help with prescriptions. The result of their research illustrates the role that machine learning can play in the initial dosage of drugs associated with a variable response and shows how the health system can gain from being computerized in this case. At Stanford, patients have had digital records for many years. This data is anonymized and stored for research purposes. In France, shared medical records are continuously gaining ground. The Georges Pompidou European Hospital (HEGP), with whom Adrien has been working for 3 years in the framework of his PractiKPharma French National Research Agency (ANR) project, set up a computer system when it opened in 2001 to provide digital files for patients. Access to data for research purposes can thus be examined by ethics committees. At the Nancy Regional University Hospital, a long-standing partner of the team, the files are also digital and the development of a data warehouse dedicated to enabling researchers to reuse this data is currently being developed. In the United States and France, Institutional Review Boards or local ethics committee give specific authorizations for this data to be used for research purposes, bearing also in mind that patients have to have given their prior agreement. The next stage in the research would be to adapt the algorithm developed on US data to the digital files of French hospitals. This result is the fruit of a partnership between the Orpailleur team, jointly managed by the Inria and the Loria (CNRS, Inria and the Université de Lorraine) and Stanford University in the framework of the Snowball team funded by the Inria for the past five years. The Stanford research team is led by Nigam H. Shah who is a specialist in predictive analytics applied to medical data. The Nancy Regional University Hospital took part in the work, particularly Professor Nicolas Jay, who is both head of the hospital’s medical evaluation and information service and a member of the Loria laboratory. Having worked on CNRS then Inria delegation contracts, Adrien was also able to count on the support of the Université de Lorraine’s Widen Horizon (LUE) programme which supports research residencies in other countries. Adrien Coulet can thus continue his stay at Stanford and prepare a new project – obtaining his authorization to supervise research (HDR).